Based on the principles and story of the legendry Chanakya, the book, 'Chanakya's Chant'presents a gripping tale of wisdom, wit and mind boggling political strategies. The novel has two parts. 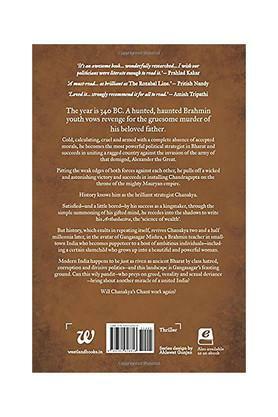 In the first part, it takes readers to ancient India where a simple but extraordinarily smart Brahmin helps an Indian ruler to combat 'Alexander, the great', while the second half is set in contemporary India. 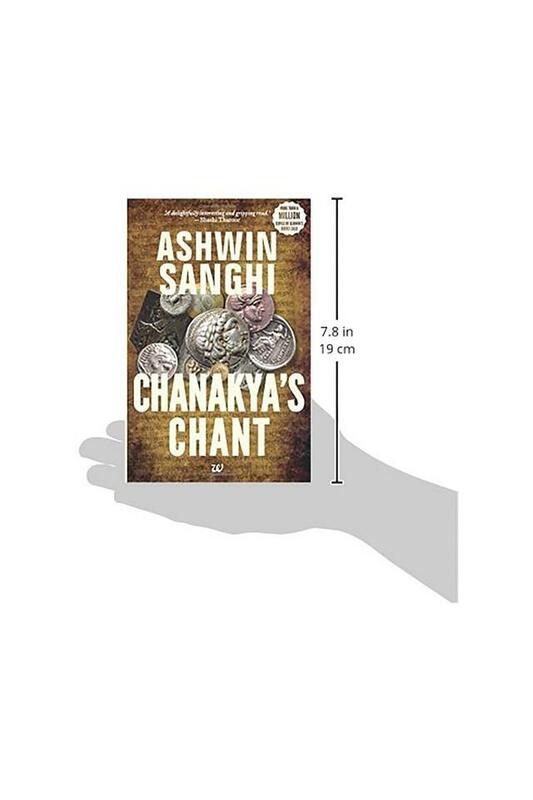 This book is written by famous historical fiction author Ashwin Sanghi who is known for his minute detailing and charming story telling style. It is published by Westland publication and within two months, it became an Indian national bestseller. 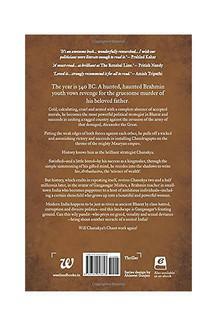 This book received the 2010 Vodafone-Crossword Popular Choice Award. India during 340 BC was a land divided between numerous regional rulers who had limited power and were no match for their foreign counterparts. Alexander the great, in his quest of conquering the world, reaches the Indian frontier and the Indian rulers are set to bend their knees in front of this great ruler. However, one ruler, Chandragupta Maurya provides resistance and is successful in stopping Alexander's invasion and establishes the mighty Mauryan Dynasty. How did the petty ruler with a tiny kingdom pulled off a victory against Alexander'It is the brain of Chankaya, the smart political strategist which helps Chandragupta in his conquest. Chankaya with his shrewd tactics and unbelievable brilliance becomes the most powerful political strategist the land had ever seen. They say that history repeats itself and now, Chankaya is born again, two and a half millennia later in modern India as Gangasagar Mishra. Being a Brahmin teacher, he has the same dream to become the most powerful person of this country. However, this time his challenges are bigger than before. India has adopted a democratic system but Gangasagar Mishra is optimistic of conning the system through greed, corruption, venality and sexual deviance. On his side is an ambitious, beautiful and a powerful slum child. 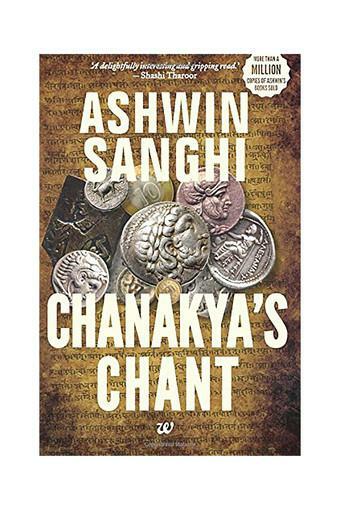 Will Chankaya be successful this time'About the author Ashwin Sanghi is an Indian author known for his historical fiction thrillers. He completed his MBA from the Yale School of Management and was a part of his family business for several years before beginning his writing career. His books have got wide acclaim and he has won numerous awards. Forbes India has included him in their Celebrity 100 list. Some of his other books include The Rozabal Line and The Krishna Key. The book is available online for convenient shopping. You can bag this book from Amazon.in today by following a few easy steps. 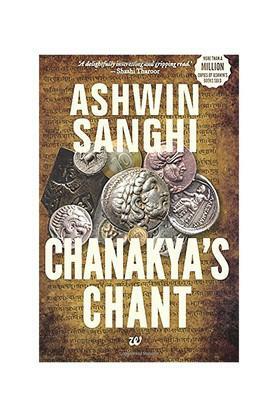 The author of Chanakya's Chant, Ashwin Sanghi is a director of the well-known M.K. Sanghi Group of Companies. Even though he is qualified as a businessman, he is a writer as well. His first novel, The Rozabal Line, was published under the pseudonym, Shawn Haigins. It was later published under his real name and went on to become a bestselling novel in India. The author is currently pursuing his PhD in Creative writing from Bangalore University, Wales. He currently resides in Mumbai, with his wife and son.